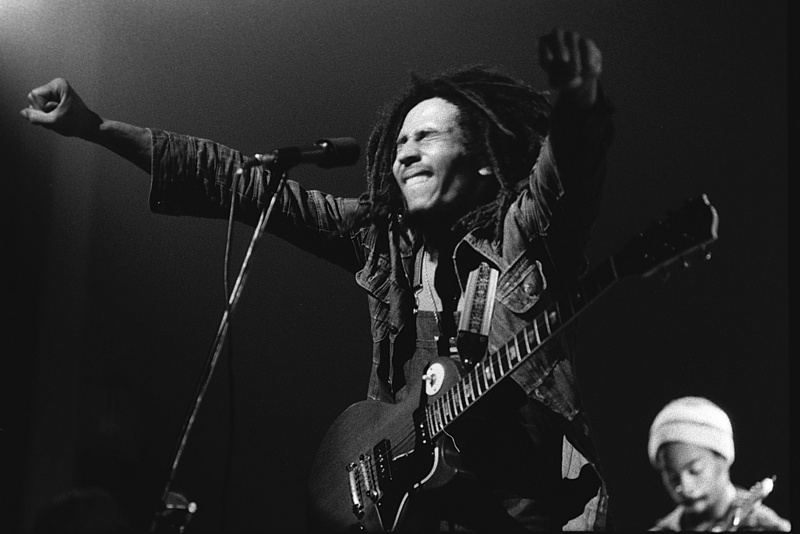 Hope you are all feeling irie today as this week’s Rocksmith DLC is all about @BobMarley! Previously revealed were tracks off Legend (1984), Is This Love and off 1983’s Confrontation, Buffalo Soldier. Today social media revealed the addition of the iconic Redemption Song (Uprising) which will be sure to be a staple for any Rocksmith player that has ventured into acoustic playing. Additional tracks (as confirmed by Xbox AU) are, No Woman No Cry (is it live? Or Natty Dread, 1974? ), and of course Could You Be Loved off Uprising (1980). With a catalog as extensive as @BobMarley’s it’s hard to assemble a five pack worthy of such a prolific artist, did @UbisoftStudioSF nail this one, or were you hoping for some deep cuts? Or is this an insta-pass. Let us know! Live the life you love.” -- Robert Nesta Marley. This week I’ve been throwing out Marley lyrics all over the place. Here’s another one. I know Bob says, “In the abundance of water, the fool is thirsty.” Okay so I’m greedy. Thanks Ubisoft. Now on to next week’s DLC. Did you notice “hell” is censored in “Could You Be Loved”? Where do you think that version came from? Didn’t want to say it as I really do love the song, but Buffalo Soldier is the only one that I would not have included in the pack. Also, I wouldn’t say you were wrong. Just hadn’t taken the leap yet. At least you didn’t trash the music like folks use to do on here. Uhhhh… Anyone else having a problem with the installation? Alright, I know it’s a little nit-picky, but I’d hoped the live version of No Woman No Cry from Legend would have made the pack. It has more of a regal quality to it. It’s one of those songs you turn up loud and play in a room where you have no distractions. I like the solo better on that version as well. Regardless, this is a huge peak in our DLC. Glad to see it arrive. Probably one of the most relaxing DLC packs we’re gonna get even though I Shot The Sheriff and Jamming are two big exclusions here. Wish I lived in a state where pot is legal. Yeah, I can’t believe those two songs didn’t make the pack. I’m glad I’m not a fan otherwise I would be as disappointed as I was with the CCR and U2 packs song selections. I’ll buy this pack 3 times before the sun rises, it’s that good. Much love to Ubisoft. Dem bwoyz blazin hot right now. Mahalo nui loa / Khop Khun Maa Khraabp. The long wait is finally over. As an introductory Marley pack, 4 out of the 5 songs are what I’d have chosen. (don’t want to give names as I like all 5 songs) Truly amazed to see this collection come out. To put it in perspective, here’s how difficult it would be (in my eyes) to top this pack. I’m not expecting to see any of those, so with that said, I’m satisfied for the rest of the year. Ring the Alarm!!! Tuff Gong is on. are there guitar parts in these tunes? soundzzz like only drumzzz and keyboardzzzzzzzzzz. aw well, we’ll see how the previews look tomorrow. . .
Saying no to Bob Marley? What is wrong with you? I’m not sure, possibly ADD. Lol. I would have bought “Jammin” and “I shot the sheriff” if they had been deemed worthy of inclusion in a Marley five pack even though those are just as boring and monotonous on bass as all his other stuff. Hope the guitarists enjoy this pack. I’m not busting out the bong until we get some funk damn it. Hmmm….. “I’m Hurting Inside” might be a better fit for you. Aston Barrett is moving around more on bass and the guitars are a bit more active. Like minded individuals. There have been many weeks where I wasn’t into the latest DLC. Like you, I was happy for those who were fans. On another note, and I know this might be wrong, but go the cheap route. Most likely this song is on a cd that can be borrowed from the local library. Hard to assemble 5? It looks like you just took the next 5 of his greatest hits after 3 Little Birds. All great songs mind you but this week didnt requiring digging deep in the catalog to surprise us. Understood. It is difficult to pick only 5 from Bob. He has so many hits. And then, as we all mentioned in another post, those fans who are deeply interested in a certain artist might pick songs that aren’t a part of the “greatest hits” collection. (just throwing names out-Burnin and Lootin’, Brand New Second Hand, Who the Cap Fit) Look at this pack as “An Intro to Marley”. OH Yea! Feelin’ Irie Mon! Can’t wait to get home and hit me with music! Like I said previously, it would have been impossible to mess this pack up, as it would have also been impossible to please everyone with their “must have” choices. But these choices are great and should please most fans and it also leaves room for future packs that will still have great songs. Hopefully people get on board and snap this one up so Ubisoft can start working on Bob Marley pack #2 :). Thanks again Ubisoft for pumping out the great DLC, my wallet hates you but I love you long time! Agreed. Would like a little more Aston “Family Man” Barrett in the mix.